Despite what many North Americans may believe, air cargo is expected to witness steady growth over the next year. Even though the recent winter kept a lot of flights on the ground, activity remained higher in January 2014 than in the same month of last year. Wary of hazardous road conditions, manufacturers and retailers utilized strategic sourcing approaches to take advantage of aircraft to deliver goods whenever the opportunity presented itself. According to the International Air Transport Association, global freight tonne kilometers underwent a year-over-year growth rate of 4.5 percent in January. Increased activity was consistent across all regions, a significant improvement over the mild progression carriers encountered in the second half of 2013. Tony Tyler, IATA's director general and CEO, expects that airfreight global sourcing will continue to see improvements over the next year, due in part to the manufacturing expansion. Although consumer confidence remained strong, the IATA reported that North American airlines encountered the weakest rise in tonnage volumes, with an additional FTK of just 0.7 percent. However, Tyler's acknowledgement of a burgeoning on-shore production economy in the United States may result in greater returns over the next three months. 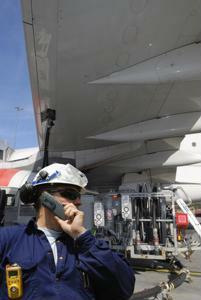 The Middle Eastern air procurement process boasted the greatest FTK increase, standing at 10.7 percent year-over-year. Carriers in the region have continued to expand their networks, communicating with European distributors on a more regular basis. The source noted that capacity growth remained in line with demand, rising by approximately 11.5 percent. It seems as if the U.S. will become a major exporter over the next half decade. Fossil fuel reserves recently discovered throughout previously untapped parts of the country have caused oil manufacturers to consider marketing their products overseas. In addition, domestic production has witnessed steady growth, a clear sign that the nation is beginning to shed the skin of its 2008 downturn. Brandon Fried, a contributor to Air Cargo World, noted the significance of international trade, citing a statistic produced by the Business Roundtable, a group of CEOs and large U.S. corporations dedicated to promoting pro-business policies. According to the organization, about one in five U.S. jobs is tied to foreign commerce and investment. Fried wrote that executive legislature may enhance productivity. Apparently, President Obama is looking to obtain fast-track authority to enact the Trans-Pacific Partnership and the Trans Atlantic Trade and Investment Partnership in an effort to breathe life into transnational commerce and redirect many corporate procurement management to include increased exports. Although some critics have stated that trade agreements ultimately bring jobs to overseas countries, Fried noted that the North American Free Trade Agreement substantially benefited the U.S., Mexico and Canada. "If you look look closely at what has happened since NAFTA's ratification in 1994, you'll find that trade among the three NAFTA nations has more than tripled from $297 billion to $930 billion over the past two decades," wrote Fried. Specifically, Mexico currently stands as the largest importer of U.S. goods in Latin America, purchasing more than France, Germany, the Netherlands and the United Kingdom combined. Fried noted that 95 percent of the world's people - about four-fifths of global purchasing power - live outside of the U.S., making it imperative that trade agreements are encouraged and implemented to ensure the nation's survival. Even if it means importing goods from other businesses, domestic personnel are still required to ensure the operability of the distribution process. Wherever manufacturing occurs, logistics experts are sure to accommodate its shipping requirements, creating jobs in transportation, warehousing and product management.